SONY Xperia Hello! (G1209) communication robot with 4.6" touch screen display launched. We first met 'Xperia Agent' as a concept back at MWC 2016. Just under two years later this miniature assistant has become a reality in the form of Xperia Hello! Launching in Japan only from November 16th, Xperia Hello! 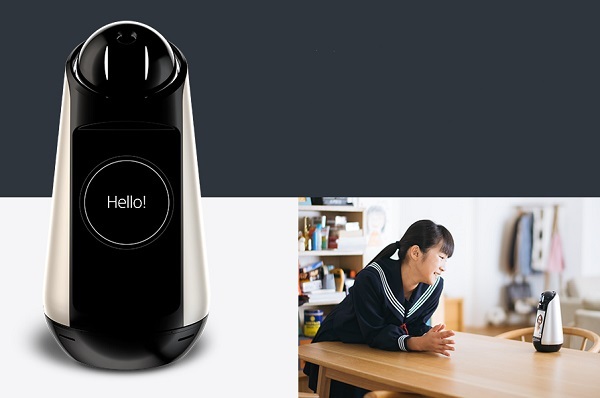 is a communication robot that can recognise each member of the family and assist with daily life simply by talking to it. Xperia Hello! combines Sony's robotics know-how with Sony Agent Technology to help you and your family with a whole heap of tasks around the home. Chat with the family through Skype calls or video messages, or send and receive messages via LINE (Japan's equivalent of WhatsApp or WeChat). Any received messages will be conveyed to the appropriate family member when detected. Xperia Hello! can even remember important days and family events and notify the entire household. By selecting the "show me what my family is up to" command from your LINE account, Xperia Hello! will notify you of the last time the children's faces were detected. The "show me what you see" command will cause Xperia Hello! to rotate and provide a view of its surroundings. Ask Xperia Hello! to 'do a dance'. Xperia Hello! retails for ¥150,000 ($1317) and is only available in Japan from November 16th.